Please call 8598811000 for further assistance. HAVE YOU BEEN ON YOUR JOB 6MO? HAVE YOU BEEN AT YOUR RESIDENCE 6MO? IF YOU ANSWERED YES TO THESE QUESTIONS, WE CAN HELP!!!!!! 12k and Under Motors specializes in Auto Loan Financing for excellent credit to poor credit and everything in between. Bankruptcy, Foreclosure, Divorce, Collections, Charge offs; no problem! We will help our customers in the process of rebuild12k and Under Motors specializes in Auto Loan Financing for excellent to poor credit and everything in between. Bankruptcy, Foreclosure, Divorce, Collections, Charge-offs are all no problem! We help our clients step-by-step through their credit rebuilding process. All while offering a wide variety of hand-picked pre-owned CARS, TRUCKS, SUVs, and VANs. We can cater to anyone's price range with our selection of vehicles to work within everyone's budget. Whether you're looking for a fully loaded luxury vehicle, a work vehicle, sports car, gas-saving vehicle or just a good point A to B reliable vehicle, 12k and Under Motors is the place to shop. We have the Knowledge, the ability, and the desire to help you achieve your vehicle needs and wants! 12K and Under Motors made its home in Nicholasville, KY, right outside of Lexington. Conveniently located just up the road from other great places like the Fayette Mall, the Summit, and Brannon Crossing. We did this with our clients in mind. Because we know your time is valuable and we treat the time and needs of each individual customer with the utmost respect. 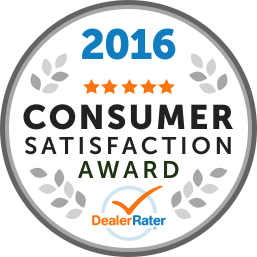 We know as a consumer you have high expectations and multiple choices of dealerships to do business with. As a dealership, we enjoy the challenge of meeting and exceeding those expectations each and every time and standing out above all other dealerships. Allow us to demonstrate our commitment to excellence while saving your time and energy during your vehicle buying experience today! Our experienced sales and management team is eager to share its knowledge and enthusiasm with you. We encourage you to browse our online inventory, if you don't see a particular vehicle you're in the market for, please call us 859-881-1000. Who knows, we may have it and it's just not online yet. Or click on CarFinder and complete the form. We will gladly inform you when a matching car arrives. If you see a vehicle you're interested in and you'd like to see it in person, click on Dealership: Directions for step-by-step driving instructions to our STORE, or give us a call at 859-881-1000. We look forward to meeting and serving you! Need more reason to purchase from 12K and under Motors? This discount is offered above and beyond any sale price advertised to thank you for your service! **12Kand Under Motors reports your timely Buy Here Pay here (in-house finance) payment to the credit bureau. Yes, you read this right! You get credit for making your payment! We understand bad things can happen throughout life causing credit issues. We pledge to you, that if anyone can you turn your misfortune around, it is us here at 12K and Under Motors!